Hugh McLaughlin, PhD, PE has a professional consulting practice in Chemical Engineering. He is an expert on the properties and production of chars, created by pyrolyzing biomass, and the subsequent conversion to activated carbons. He is the inventor of the NextChar Machine. 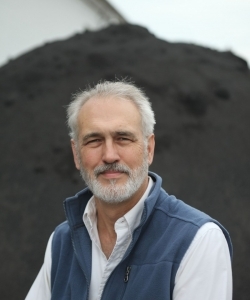 He has published extensively on biochar and biomass derived heat production, including co-authoring “All Biochars are not Created Equal and How to Tell them Apart” (2009) and “U.S. Focused Biochar Report: Assessment of Biochar’s Benefits for the United States of America” (2010).